​A planning application to demolish historic cottages built by John Venn on Kyrle Street was turned down by Herefordshire Council in early 2017. ​In this article, Jean O-Donnell explains something of the history of these houses. These two houses are part of a 10 house estate build by Thomas Nicholson for the Hereford Society for Aiding the Industrious in 1872. 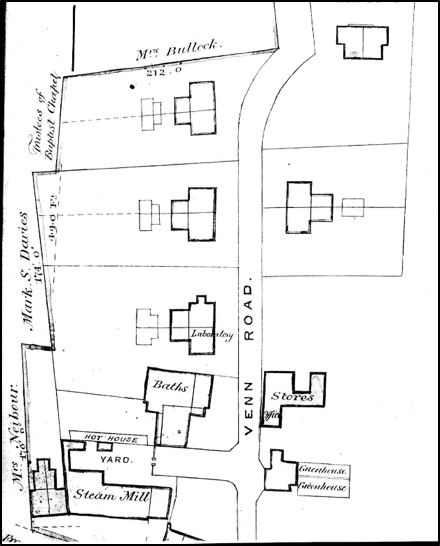 Venn Road as it was then named was created on land belonging to the Society with the idea that it should provide homes with productive gardens for the working man to sustain his family. The road was a continuation of the way to the washing baths and the new swimming baths. There was an experimental garden opposite and a gardener was employed to instruct the tenants about horticulture and how to use the manure that was manufactured as part of the enterprise. The houses were provided with earth closets and irrigation from waste water. The lavatory was attached to the rear of the house. The first house next to the baths was larger because it was the laboratory where experiments were carried out to create formulas for manures to keep up land productivity and to use the waste from the earth closets. This system was introduced in primary schools round the City at this time. George With lived next to the laboratory and was the chemist. He was a remarkable man. For twenty-five years he was an outstanding Headmaster of the Bluecoat School .He was born in London in 1827 and spent two years at St. John’s college, Battersea training as a teacher. He was one of England’s first certificated teachers. When he was at Gosport he came to the notice of Richard Dawes as an outstanding educator. When Richard Dawes became Dean of Hereford cathedral in 1850 he was interested in education generally and the Bluecoat schools in particular. Then in 1851 the mastership became vacant he supported George With’s application rather than a candidate backed by Rev. John Venn. On appointment With organised the other teachers to paint the school for a fresh beginning. He was a scientist, a chemist and was interested in astronomy. He was a Fellow of the Chemical Society and an honorary member of the Woolhope Club . Among his talents was an interest in lenses and optical work. In the mid - 19th Century he was one of the first exponents of silvered mirrors for use in astronomical instruments, alongside Rev. Thomas William Webb and Rev Henry Cooper Key, also of Herefordshire . George With made more than 200 mirrors for amateur telescopes. They were made to order and two are in our museum collection. There is a plaque to his memory in the cathedral as he was a choir member for 30 years and was a lay reader in the City churches. 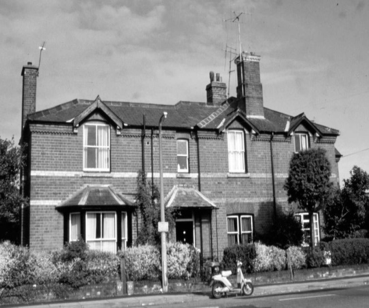 This house is not only is an integral part of the Venn Road (Kyrle Street) enterprise but housed a vital part of the project. With’s manure recipe was patented and used in earth closets. He was an associate of Rev. Henry Moule, well-known inventor of manures. The house housed the rear buildings associated with this method. The garden was part of the experiment and at one time had hot houses heated by surplus steam from the nearby Society steam mill. The Venn project is still visible and it would seem sacrilege to destroy such an early design before Garden Cities when the idealism of good homes for working people were made possible and an amazing and famous scientist was its guide. The houses are largely complete with later additions at the front. It seems wrong to break up a piece of social history of an enterprising and benevolent kind. The association of George With, who was eminent in his field, make the laboratory building of importance and alongside the baths complex, any demolition should be resisted.